What makes the iPhone so uniquely desirable? Smartphones have become the central hub of our lives: they connect us with friends and family, help us organize our lives, provide us with news and entertainment and capture our memories. And while today the market is flooded with devices that can successfully do all of these tasks, there is one that is preferred by anyone from teenagers to CEOs – the iPhone. The use of Apple’s smartphones in the States is so widespread, iPhone has become a household name like Sharpie or Kleenex. It’s a product that separated the smartphone market in two – iPhone and everything else. How did Apple achieve this and why do so many people want one, even if they don’t need one? Well, let’s try to break things down. Hate it or love it, Apple is one of the most powerful brands in the world and while its current global success is largely thanks to its smartphones, the company was well-known and liked long before the first iPhone came out in 2007. Apple’s iPod was the mp3 player to have and started a music-on-the-go revolution. Meanwhile, Apple’s desktop computers could be found anywhere from kids’ bedrooms to university computer labs and its MacBooks were equally used during business meetings and college lectures. While people use Apple products because of their qualities, a big reason why they chose Apple in the first place was because of the company’s marketing. Apple’s ads always show cool, trendy, laid-back people and emphasize on how easy everything is with their products. Who wouldn’t want that, right? Besides the ads, Apple uses other methods to boost its brand recognition. The company gives free products to TV and movie production companies to use during shoots, making them more represented on screen than they are in real life. Apple also offers discounts for educational purposes. Universities and their staff and students can use them, which gives Apple a sizeable chunk of that market as well. Then there are the Apple stores. The company’s “temples”, as they are often referred to, follow the clean and minimalistic aesthetic of the brand and their design is so distinct Apple even has patents on some elements of the stores. The combination of all these elements meant that the iPhone came into existence as part of an already successful family. This gave it a flying start, but the rest of the journey to success was on its own merits. One of the iPhone’s best features is its seamless integration with the Apple ecosystem. While it’s often called a “walled garden”, because of how strictly Apple controls it, the tightly controlled ecosystem also allows for better software optimization and ease of use. 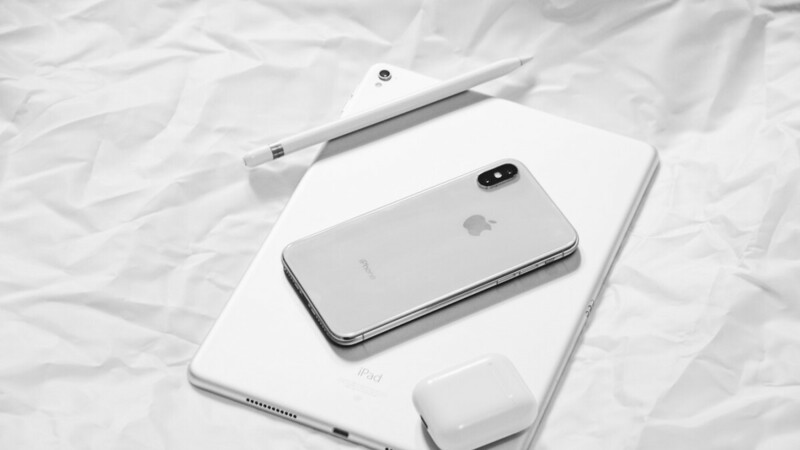 Users that rely on Apple’s products for personal use enjoy a relatively hassle-free experience when it comes to cooperation between the devices. The restrictiveness of Apple’s environment spreads beyond the individual user. Programs like Apple’s iMessage can create separation between iPhone users and their peers that use Android. It’s not uncommon for people to keep using an iPhone to remain on team “blue text bubble” and avoid being left out of the group’s online communication. With each Apple product users buy, they get more and more entrenched into the Apple ecosystem. Even if another manufacturer releases a better product, whether a smartphone or a smart watch, Apple users are less likely to switch, because they’ll lose the integration with their other products. While the original iPhone wasn’t the first device with a touch screen, it was the first that made using one intuitive and easy. Things that have become the norm in smartphones like fast scrolling down a page with one quick swipe and sliding to unlock, were first introduced by the iPhone. Apple made people want to use their phones even if it was just for the sake of using them and for many getting one was “the future is here” moment. Of course, throughout the years, Apple has released iPhone models with their own strengths and weaknesses, but overall, they’ve been consistent with what they offer. First, that’s the luxury feel. When you hold it, you can tell it’s a premium product. It’s well built, using quality materials and has an elegant design. But it’s not all looks. Thanks to its high-end components it delivers great performance even when faced with more demanding tasks, such as games. When it comes to smartphone cameras, the iPhone is always the one that competitors are trying to beat (and sometimes do). iPhones tend to set the trends on the mobile market and its designs are often copied by other brands. So, when a group of people has their phones on the table, if one person has an iPhone XS while another the eerily similar looking Asus ZenFone 5, which one is subconsciously put higher on the social ladder? Yes, it’s shallow, but that doesn’t make it less true. Of course, there’s a price for all of that. Apple’s devices have always been on the higher end of the price spectrum, and while today most of its competitors on the smartphone market have similarly priced devices, subconsciously, people still think “expensive” when they see the latest iPhone more so than any other flagship device. Apple isn’t shying away from that term either, in fact, it calls the lowest priced models “least expensive” just to avoid having the word “cheap” connected to the Apple brand. iPhones are sold with the highest profit margin and the company is more than happy to keep things that way. People often perceive products as being of superior quality based on the higher price. And in the States, where “keeping up with the Joneses” is a thing, having the latest iPhone means you’re the top dog when it comes to smartphones. It’s hard to describe this element of the puzzle with one word, but this is one of the main contributors to the iPhone’s appeal. While Apple has put a lot of effort (and money) to create the conditions for this X-factor to flourish, the extent to which it manifested over the years is beyond the wildest dreams of any marketing guru. We’re talking about the widespread iPhone use by celebrities, actors, musicians, athletes and all sorts of people in the public eye. They can be seen using iPhones in paparazzi photos, mention them during interviews and post from them on social media. We’ve all seen the glowing Apple logo on the back of a DJ’s laptop, or the iMac our favorite YouTuber is editing his videos on. It’s a sure bet that they also use an iPhone as their daily driver. Apple has become the go-to brand of not only the creative type, but also the sporty, the business oriented and so on. The common thing among all of those is that if we know about them, it means they are successful at something, and that gives the iPhone a “coolness” aura. And while many people think that celebrities have larger influence than they should, mimicking what the powerful of the day are doing has been around since the first cave people put a piece of animal skin around their waist (speculation). And when someone famous is seen using an iPhone, that’s not just free advertising for Apple, it’s also a point of connection between the popular person and its fans. While we also see celebrities drive Lamborghinis and carry around Louis Vuitton bags, those are things most people can’t afford. But a smartphone? Everyone has a smartphone anyway, so when it’s time to buy one, why not spend $20 a month more and have the same iPhone as your favorite star! Sure, it also has a top of the line hardware and great benchmark scores, but chances are most people wouldn’t even come close to using its full potential. There’s a reason people jokingly call the iPhone X “$1000 Facebook machine”. When you think about it, the smartphone is one of the few non-consumable products that the rich and famous get from the same places as you do. Having an iPhone is the smartphone equivalent of sitting at the cool kids table in the school cafeteria, except the barrier is not your coolness, but the depth of your pocket. This leads to a weird phenomenon where people, for which the iPhone is obviously outside of their price range, will make sacrifices, just so they can have the latest device by Apple. Getting a piece of technology to make yourself look like you are better off might sound ridiculous to some, but the mind can be easily tricked, and people might really feel better having an iPhone to play around with while eating instant noodles. Lives are revolving so much around smartphones today that an expensive device can be an oasis you go to temporarily escape from your troubles. And what better way to scroll through celebrity Instagram vacation pictures than on the same phone they used to take said pictures? Something even harder to explain are the lines in front of Apple stores. People sometimes spend multiple days camping on the street before the release of the latest iPhone, just to get one a few days earlier than if they’ve ordered it online. This is more similar to the release of a new Star Wars movie than to the launch of a device that happens every year. Why order from the comfort of your home, when you can go out and wait for hours in the cold? This cult-like loyalty can’t be achieved purely by marketing. And it’s not something hardware specs can trigger either. Now Android phones can match or exceed the measurable qualities of iPhones, but the “cool” factor still weighs heavily in Apple’s favor. The combination of all the factors we talked about has made Apple more than just a tech company: it is now closer to a lifestyle company that sells technology products to support that lifestyle. The strong customer base it has created allows them not only to reap financial benefits, but also to get away with things other manufacturers would pay dearly for. People defend Apple, sometimes illogically, not because that’s the brand of their smartphone, but because that’s a tribe to which they belong. And an attack on their tribe is an attack on them. Of course, on the Android side of things there are strong brand communities as well: besides Samsung, the Chinese brands Xiaomi and OnePlus have some of the most dedicated users. The difference is that for them, it’s more about what the device can do functionally, rather than what it represents in society. It’s hard to pinpoint exactly when smartphones became such a factor in our lives, but thanks to their usefulness and relatively short lifespan, buying a phone has become one of the more important purchasing decisions people make. And the factors that go into account when making that decision can be so different, that people almost get into physical confrontations because of differences in smartphone preferences. And while factors like “What would people think if I have this phone?” might seem silly and superficial to some, humans have proven time and time again that the image we’re going after has a big influence over our actions. Sometimes a slight shift in perspective can be enough to understand behavior that might seem illogical or perplexing. For some an iPhone might be an overpriced manifestation of capitalism, but for others it’s a piece of a world beyond their reach. And it’s important to remember that both states aren't mutually exclusive. Meh. Brand value which was first brought about by marketing (Steve jobs, celebrities, hype), genuine innovation (OS, multitouch display), ecosystem, Superior design (OG iPhone, iPhone 4/4s, iPhone 5/5s), attention to detail (like screen quality, far better camera & UI), and the general exclusivity of IOS. But all these things have been surpassed by some Android oems like Huawei and Samsung and maybe even Google. Apple is now riding on all that past glory/achievements and building on the foundation they've laid in the past. And one more thing; THEY ARE AN AMERICAN COMPANY!!!!!!!!!!!! Btw, I'm yet to see any smartphone design that has come close to the iPhone 4 to this day tbh. Maybe pre smartphone era with the likes of the N95, or Nokia N8 but certainly not post smartphone era in my very honest opinion. The Galaxy S8 came close though but Samsung's overall image as regards design was already severely tainted and it runs the supposedly "cheap" operating system, so there's that. This article is pure clickbait. But to answer the question, it's the same reason that the Kardashians are multi-millionaires...... Ignorance and marketing. Strong marketing, strong customer loyalty, quality devices. Does there REALLY need to be another PA article about why people like Apple products? I think we've all figured that out by now, well since the iPhone has been out for 11+ years. Seems like a pointless article these days. Sells ad space tho. This article made me throw up my mouth a little. Really hit the mark though...most people buy iPhones because they feel it makes them superior or part of the cool crowd. It's basically a religious cult for them, and if their leader says "get on the floor, roll around and chant" the majority will do it without question or hesitation. Any idea if the leader is also saying the same thing for the watch, homepod, airpod, atv? What makes the iPhone so uniquely desirable? Ans.= Fruit logo. Apple has the best mobile software and the best ecosystem over every OEM out there. You can never find a line of products works seamlessly together very well like Apple products, period. What frustrates me the most is their s**tty business management and how they rip off their customers with something feels really stupid like the headphone dongle and the fast charger. “Cool factor” is something for the little kids to brag about and I don’t care about it. "Apple has the best mobile software and the best ecosystem over every OEM out there.". So if you mean the best closed, locked down, and restricted mobile software and matching ecosystem. Then yeah, Apple wins that category. But if you want the best mobile software, with the most flexible and diverse ecosystem that offers technology on the fringe. Then Android is by far way ahead of Apples ecosystem. With categories not even supported or allowed by Apple. For reasons that Apple either doesn't allow, or won't even support. Everything with Apple is it's our way, or its the highway. Just look a few years ago the big push with 3D touch, and now Apple looks like they are backing away from it with the XR. Apple is so controlling that they even FORCEs it's developers to support things like the notch, or your app will be rejected. Google's approach to something like the notch is it's up to the users and developers. Support it or not, it's in your hands. Apple is a dictatorship platform, where customers are subjugated. Google's is the freedom approach. And why would you even want the developers have the freedom to not add support for the hardware on certain phones, which would just create the bad image on android at the end of the day. why y'all want things broken. freedom comes at a cost. enthusiasts can have a field day with android, but trust me the average person just wants something reliable long-term, which doesn't need a constant cleanup, resetting, tinkering at the end of devices lifespan. First of all Android isn't on a single device. There is thousands and thousands of devices. To Apple's few devices. Google also gives developers the tools so they can make or support anything they want. If you knew that, then you wouldn't have said what you did. Also it's clear you haven't been using Android devices in a long time (if ever), because you don't have to do a constant cleanup, resetting, or tinkering like you said. The Android versions that the final user has in his phone is almost just as closed as iOS is. As ecosystem Android is a piece of crap: Samsung devices don't "talk" to Huawei or Sony, there is no continuity between a Chromebooks and phones (tablets don't even exist), they just started to work - primitively but ok - with Windows devices; as a developer, you have to code for at least 3-4 versions of OS, with different elements or interactions, the apps are easy to crack; as content developer you can't effectively protect your propriety. In the year after the release of the iPhone Android manufacturers are able to make numerous better devices, but you can't seriously say Android ecosystem comes close to Apple's. That’s the beauty of IOS. Their continuity is unmatched. One of the reasons to stay with Apple’s ecosystem. You speak sense, my friend. These trolls will never learn to appreciate the truth. As hateful as Apple's pricing and strategies are, their ecosystem is quite unmatched. Exactly, once in the ecosystem it's very hard to let go. Just proves that Apple's software is second to none. Complete nonsense Leo. No need to even address your points because it's blinkered garbage. It doesn't matter if you address those point or you don't, that won't change the fact that an Android user is going to miss the continuity present in Apple's ecosystem. I'm not saying this to dis Android or its users (it's a great platform and the people are just as wonderful as iOS users), I'm just saying what needs to be done so that we get the best there is. Peace, bro! What continuity is that? MIUI, for example, gives you seamless continuity from your phone to tablet to pc to TV etc and it's Android. So please don't spout garbage when you're clearly speaking from ignorance. Even Google apps work seamlessly across all my devices and I can pick up from where I left off with YouTube, documents (sheets etc), Hangouts, Photos, Maps, Music etc. I needed to take some pictures of an objective and share them, so I took my Android device, I took the pictures and when I got inside my office the Photos app was showing me everything was backed up so I opened my laptop to download the pictures and share them by email. I couldn't, because the pictures were not in my Drive folder, nor on Drive in the browser so I took the phone, selected those pictures and created a link; I have never had this happening with iCloud or OneDrive on my iPhone. I talked about answering phone calls on my Mac or reading my messages. Speaking of Huawei: is there a way to block safe mode? I have 2 H. devices and I can't properly secure none of them (I only have MDM on my Apple devices); again, I don't try to dis Android, I'm just looking for a solution. Can you pick up a Duo conversation on a laptop/Chromebook? (I know, Android users can also use Skype and it's great that they can, but I don't see Skype call in my Phone/Contacts app). Can I sync Chrome tabs back and forth with my pc? (I hardly use Chrome and I really wonder if Google has implemented this feature). That is what I'm talking about. I didn't say it is a regular behavior, I said it happened, which means the service suffers from lack of consistency and I can't trust it. I activated Chrome to check out if I can sync my PC tabs and I cant; maybe I don't know how... (possible, because I don't like and I don't use Chrome). No, dude, Android ecosystem is just sub par. Just like I no longer use floppy disks, I gave up on phones as thumb drives; I just use drive and I don't have to plug anything. Nobody is telling you to use an iPhone, if you don't want to; just stfu when you know nothing on the subject. I know how to use Chrome, I just didn't spent a lot of time trying to find the sync feature; can you point me to that feature, if you know where it is? Dude, 10 years ago I would have said you are right, but I live in 2018 and everywhere I go - except on top of the highest mountains or at the bottom of the sea - I have access to internet. Why on earth would I want to waste my storage, downloading videos I can always access? Why would I want to use a smartphone outside its ecosystem and outside the internet? I have the Nokia 3310 for that: great battery, small price. It's the second time you're blabbering about me instead of talking about the subject; please stop. Stop and read carefully so you comprehend what I'm saying: I live in 2018 and EU - where I mostly travel - has over 90% (100% in urban area) mobile coverage; EC has allocated funds so that every populated area will be covered with wi-fi in the next years, which means not only that we will have unlimited internet all over EU territory, but we will be having it for FREE. Right now I (on my personal phone) have over 100GB national internet plan (I use about 50 every month) with 20GB (I think it is 21, because I received a bonus) international (in EES) plan, so I'm good. Also, I don't know what companies do you use to travel (low costs?) but the important ones have wi-fi (the last time I have used Turkish it was free, Lufthansa's is very fast, klm also, I am yet to travel with Etihad or FlyEmirates, but I'm sure they also have wi-fi). When I'm going in the nature (trekking, fishing on the sea), I do it to get away from the modern world and stay in the nature; I make fire, cook the fish I catch, talk to my friends, sleep outside. I can use a radio station (on the boat) or the satellite phone of a friend to communicate. The children need to "download YouTube videos", weak or uneducated people are watching "some anime episode"; smart adults read and they are choosing tools to do a job, they don't get tools with high maintenance. PS: I am a fan of the cloud and I make it work for me, but that doesn't mean I can't get a 512GB device and do all those things you talk about, USING an iPhone ;). You still stupid as ever , just like how you talk about where are u living which have high coverage , most of the world don't , and I have been to all content , mostly for diving , and usually it takes about 1 to 2 hours to reach the diving site so I need something to cut the time , same when are flying which by the way most airline WiFi is garbage even if you paid for the so called fast speed which barely make you browse the web Europe is not the entire the world and most of the world is not covered with free WiFi , heck even some USA area have bad mobile coverage for phone calls let alone for downloading something Another thing most of the world use PCs and guess which is better communicating with a PC , I'm sure u know . Android works with everything and everywhere , you have millions of app to use , unlike the app store which is full of games . I literally can leave my note book and relay on my Android , something an iOS device will never be able to do , casue it depends on a Mac or PC in some situations , I know that because i have been using Macs and PCs since 1994 which I guess is the year you were born . Please STFU or try to grow up and see the world out side your closed brain . Dude, have you ever heard of something that humans were able to do for thousands of years: TALKING? Talk to your friends, family (assuming you're not just a pathetic troll, living in a basement and watching downloaded YouTube videos and you have friends and family) while you get to the diving area. The plane is the perfect place to READ (it will give you a chance to brush up on your English). If Android is good for you, because you can download what I can access on the web, than by all means, use Android, what do I care, but stop finding problems where there are none. Once you start telling me what do instead of addressing iOS short coming it shows how pathetic your are . I choose when to read and when to talk , but you can't choose what your phone can do because your a stupid sheep . This is the end of discussion . Haven't you read that I can always get a 512GB iPhone and fill it up with all the music and videos I want? You might not know this but I can download YouTube videos on my iPhone ("there's an app for that"), I can do whatever the hell I want with my iPhone - everything I do and I would do on an Android phone I can do on the iPhone - but I choose not to do stupid stuff, I choose to use the phone as a tool and not being used by it; I'm not going to f**k up my vision, watching TV shows on a tiny screen (even if it's a XS screen), I'm not going to waste money for internal memory when I have the cloud and internet all around me, I'm not going to waste time, changing icons and running Atari games, I'm not going to waste time figuring why my Windows doesn't recognizes my Android device anymore (yes, this happened last week and I was too lazy to figure out why) etc. I just choose devices and services that "just work" seamlessly with each other, while also using what I consider the best from any other company: search, translate,YouTube, Waze from Google, Outlook, Edge (and Samsung browser on Android), Excel, OneDrive, Skype from MS all on my phone from Apple. I have always used Android devices as secondary phones, because I love tech and I want to keep my options open, I appreciate what Google has done, I know the strengths of the ecosystem but I am also aware of its weaknesses. I switched from Symbian to Android then to iOS and I will switch in a heartbeat when (and if) there is going to be something better, but so far there isn't. Period.